A cyber battle sci-fi. In 2022, the technology of quantum computing has greatly advanced and many people have transfered their mind into the cyber space. Remu's sister, Shiki, skipped grades and entered a high school in the academic city "Okinotori-island Mega Float City (OMFC)" when she was 14. One day, Shiki confessed to her brother via Skype that she was talking to him directly from the cyber space and her real body had been kept in a water tank filled with a culture medium. It's called "Body pool" and Shiki connected to the network by nanomachines implanted in her brain. Remu was surprised but he accepted her decision until an accident called "Early Rupture" happened. The network server got overloaded and users' minds were lost in cyber space leaving soulless living bodies in the Body Pools. In order to bring Shiki's mind back, Remu visits her apartment in OMFC and there meets Shiki escaped from the hospital. But the girl tells him that she is not Shiki and she happens to haven taken over Shiki's body. When Remu tries to figure out the situation, a violent attack strikes the apartment. 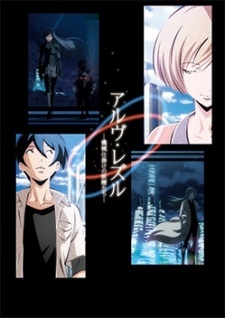 Watch Arve Rezzle: Kikaijikake no Yoseitachi Episodes Online at Animegg.org. Arve Rezzle: Kikaijikake no Yoseitachi is available in High Definition only through Animegg.org. Choose an episode below and start watching Arve Rezzle: Kikaijikake no Yoseitachi in Subbed & Dubbed HD now.